The Altar Guild is comprised of 3 people. They prepare the Altar and arrange the flowers. The Altar Guild also cares for the furnishings and linens of the Lord's Table. 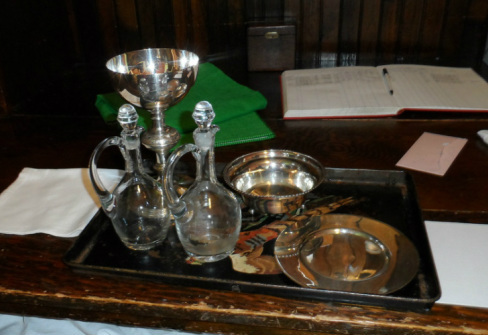 The bread and wine is prepared by the Guild before each service so that the Priest can consecrate them for the Lord's Supper. The work of the Altar Guild is typically done a day or two before Sunday services as well as immediately following the service.